Directed by Jason Zeldes. USA. 2015. 93 min. 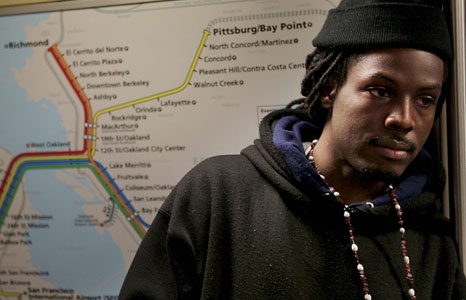 Growing up in Richmond, California, a city divided by a turf war, young poet Donté Clark channels Shakespeare to help heal the ills of his community. As the artistic director of the RAW (Richmond Artists With) Talent Creative Arts Program, Clark is a young man who could have been part of Richmond’s problem, but instead uses poetry to mentor young students and to talk about the issues they face. When Donté learns that RAW Talent is facing a budget cut, he and his students decide to stage an ambitious urban adaptation of Shakespeare’s Romeo and Juliet entitled Te’s Harmony. Using his voice to inspire those around him, he and the like-minded youth of the city hope their production will start a real dialogue about violence in the city. Will Richmond force Donté to compromise his idealistic ambitions? Or will Donté end Richmond’s cycle of trauma? Director Jason Zeldes, an editor on Twenty Feet from Stardom, delivers a potent film that highlights the power of art and spoken word to heal and inspire, and the importance of being able to express oneself in the face of deep hardship.